I wanted to go to the East Bus Station earlier, but couldn't get myself to rise early in the morning. So I left later than I wanted, upon reaching the bus station, the line was already long and another queue to board the bus was just as long. While waiting for my turn to ride the bus, I overheard a Dutch lady talking to two Chinese tourists. I could hear them clearly because they were just behind me, it appeared to me that things were getting lost in translation, since the two Chinese aren't fluent English speakers. I decided to help the lady plan her itinerary, because I did the same route before returning to Kunming. After the conversation, we all (the Dutch lady and the Chinese) decided to travel together. 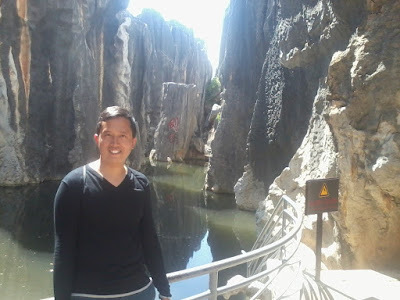 The Stone Forest was touristy, but it had a certain natural charm that made the trip worthwhile, it also helped that I had good company. 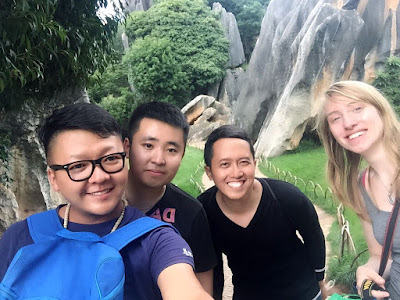 Our crew explored the Stone Forest despite having a language barrier. The two guys were very friendly and accommodating, despite their limitations in English. The forest had several stones rising from the ground and towering over everyone. Seeing these formations was quite surreal, but I had to use my imagination to be able to see them take certain shapes of flowers, animals and other objects. The highlight of the forest was the overlooking viewpoint. The Stone Forest was nothing short of spectacular from this vantage point. There were rising stones as far as my eyes could see. The Stone Forest was the last attraction I visited before leaving China. Quite frankly, I found the ticket price expensive, but the company made the trip worthwhile. I would still recommend a visit, but temper expectations. 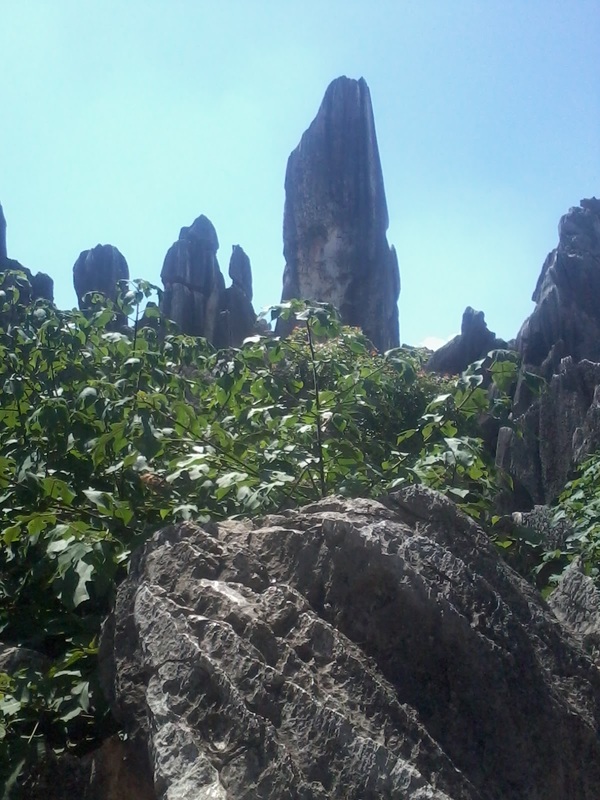 After exploring the Stone Forest, I recommended the hostel I was staying to Julie, the Dutch lady I traveled with. 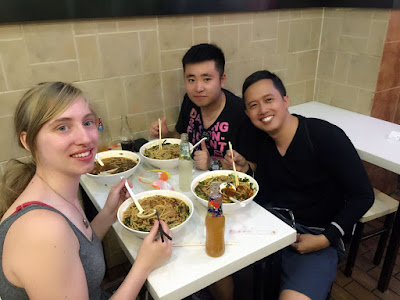 After a long bus ride back to the city, my new found friends and I went to a local noodle shop, which was apparently famous. I didn't know about it though since my Chinese was limited and it was difficult to find places to eat because very few people spoke English, and even if they did, it was still hard to communicate. Our Chinese friends treated us to a hearty dinner, the noodles, despite their supposed regular size, was really big, I couldn't finish one on my own. 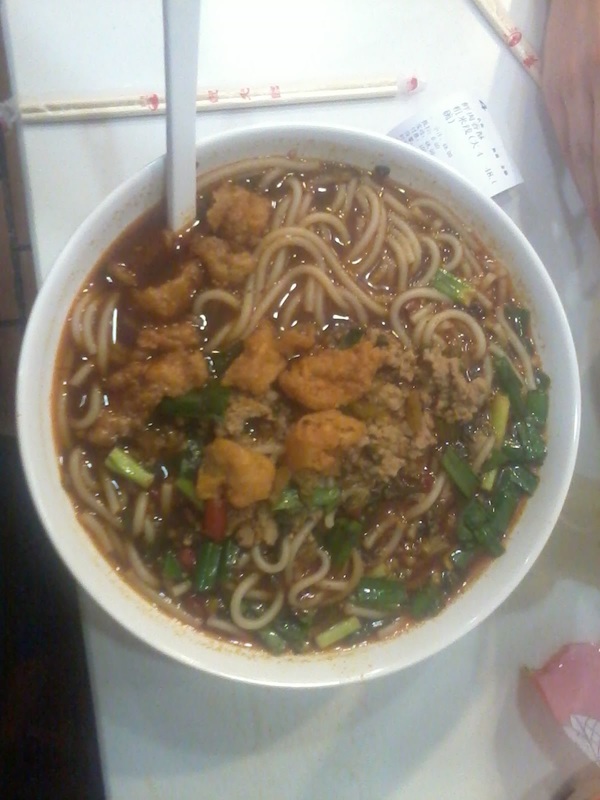 It was also really spicy, which made it difficult to eat. I had a good time meeting the two friendly Chinese guys and Julie. The Chinese were really friendly, even if my trip was at the height of the Hague ruling about the conflict in the West Philippine Sea. I just goes to show that travel sometimes breaks down barriers. 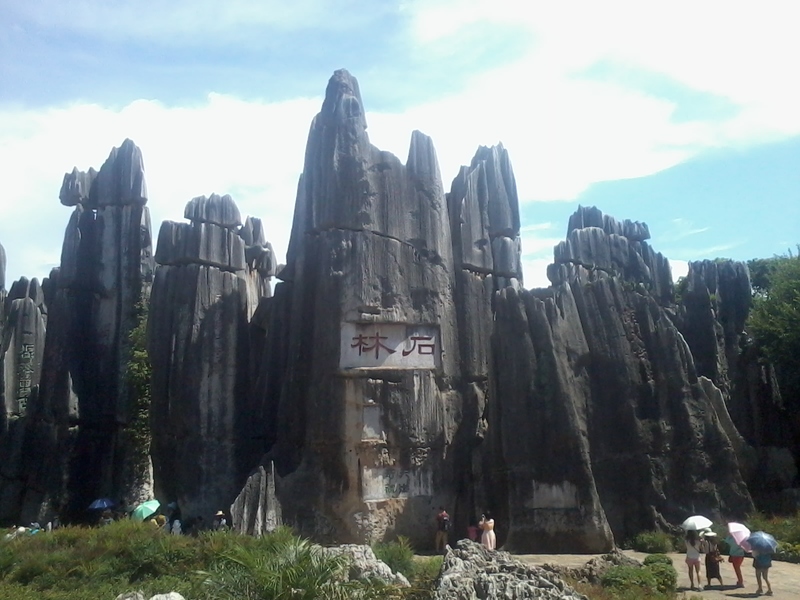 From Kunming City, head to the East Bus Station, from there head straight to the counter of the buses that go to the Stone Forest. A round trip ticket costs RMB 68, the entrance fee is RMB 175.